Learn more about Awbury’s programs, archival activities, and educational spaces while honoring two Philadelphians whose work is keeping the ‘Spirit of Play’ alive. Drinks and locally-sourced seasonal dinner provided by Birchtree catering. Outdoor attire (especially shoes) encouraged. Register below. Kindly RSVP by May 8th. 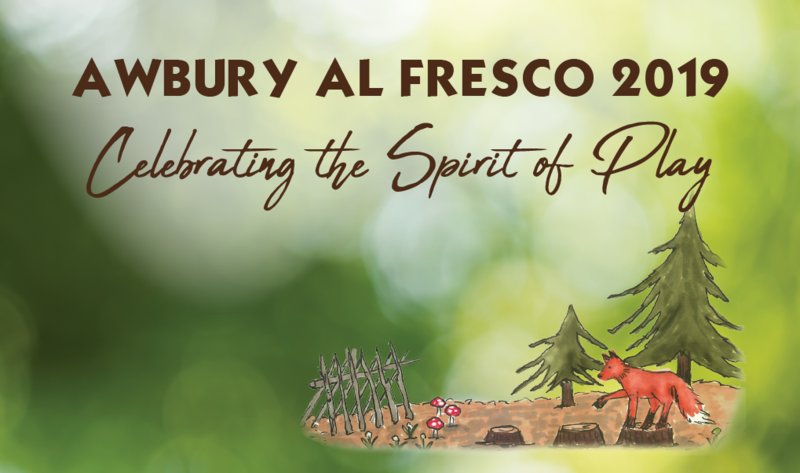 Proceeds support the Gay Gilpin Johnson Archives & Education Fund at Awbury Arboretum. The Awbury Education Fund was launched in 2013 to provide ongoing support to Awbury’s education programs, which serve thousands of people of all ages every year. In 2017, the fund was renamed in memory of Gay Gilpin Johnson; neighbor, friend, and tireless advocate for education, historical preservation, and community engagement at Awbury. Gay’s passion, commitment, and tireless service to Awbury Arboretum and her community was the force behind many of the programs and initiatives launched at Awbury over the 60 years she called the Arboretum home. Meg Wise is one of Philadelphia’s strongest advocates for the importance of non-formal education and unstructured play for all children. After serving in leadership positions at Fleisher Art Memorial and The Philadelphia Foundation, she became the Executive Director of Smith Memorial Playground in 2011, where she increased the organization’s focus on community engagement and on the playground’s underserved Strawberry Mansion community. In 2018, Meg was appointed as the new director of the Philadelphia Outward Bound School, which fosters youth development through outdoor teambuilding and experiential education programs. Meg will be the first director to lead Philly Outward Bound from its new headquarters at The Discovery Center, a recently-opened outdoor and environmental education facility located on the site of a defunct reservoir. The property – roughly the size of Awbury – was previously off-limits to the public, and now stands to become one of the most transformative public spaces in the city. Bryan Hanes is the founding principal of Studio | Bryan Hanes in Philadelphia. In his work as a landscape architect, he sets the stage for the interactions between people and places; curating experiences and cultivating social connections with an emphasis on environmental sustainability and public benefit. Though his influence has been felt across the country and around the world, Philadelphia has been the primary beneficiary of his work. His contributions to the regeneration of Philadelphia’s public spaces include Sister Cities Park at Logan Square, Clark Park, The Rail Park, and Centennial Commons in Fairmount Park. In 2016, Bryan donated his time and creative vision to developing the concept for AdventureWoods at Awbury. Today, this natural materials playground forms the backdrop for innumerable moments of connection between child and nature – sparking the spirit of play at Awbury.